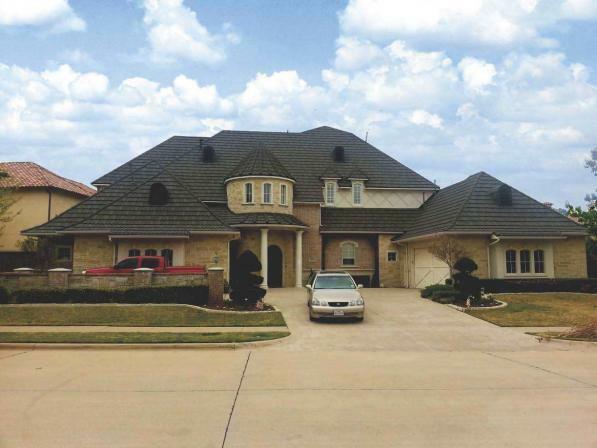 Metal roofing has become increasingly popular in the last couple of decades. This is mostly due to the advancement of techniques and products. But, also, metal roofing is extremely durable and is a very sustainable product. Additionally, many are Energy Star rated products. 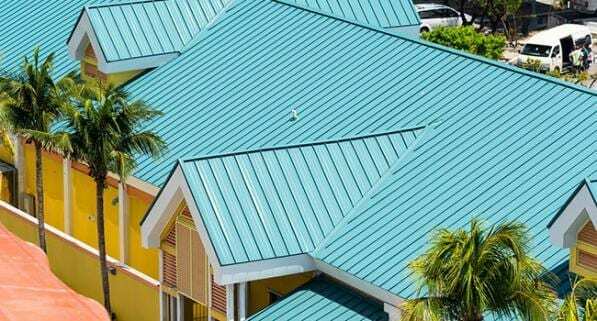 Not all metal roofing materials have an Energy Star rating, but there are many color options that do. Let’s first discuss what an Energy Star rated product means. Energy Star rated roofing products look at two basic areas; Solar Reflectivity (SR) and Solar Reflectance Index (SRI) to determine if a product meets the criteria. Solar reflectivity is the materials ability to reflect the solar energy from the surface of the material. Solar reflectivity (SR) is shown in a numerical value of 0 to 1.0. An SR value of 1.0 means that 100% of the solar energy is reflected back into the atmosphere. Consequently, a value of 0 means that 100% of the solar energy was absorbed by the material. For a product to have an Energy Star Rating it must have an SR value of .25 initially and after 3 years it must be .15 for a steep pitch roof or .65 and .50 for a low pitch roof or often called a flat roof. As you might expect, the lighter colors have a better SR value than the darker metals. The Solar Reflectance Index (SRI) is a roof’s ability to reject solar heat. This value is derived from using the materials SR value and its’s emissivity value, the materials ability to release absorbed heat, in accordance with ASDM 1980 calculations. Basically, it determines how much of a heat increase there is on the surface of a material in direct sunlight. For example, black has an SRI value of 0 because it has poor emissivity and an SR value of only .05. On the other hand, white has an SRI of 100 because its SR values are .80 and an emissivity of 90. For an Energy Star Rating, there must be an SRI value of at least 29 for a steep slope roof and 78 for a low slope roof. Metal Roofing is extremely durable, holding up to harshest of storms and can last 50 to 60 years as in the case with standing seam. Most metal roofing products also qualify for a Class IV or Impact Resistant discounts from your insurance provider. However, be aware that discounts come at a price. Typically, a cosmetic waiver must be signed to obtain the discount. This simply means that if your roof is damaged in a hail storm it will not be covered unless there is penetration, but it is rare for that to happen. Metal roofing is nearly the most sustainable roofing materials available. Of course, durability and the long lifespan of the roof are leading factors, but also, metal roofing products are made with up to 98% recycled materials. 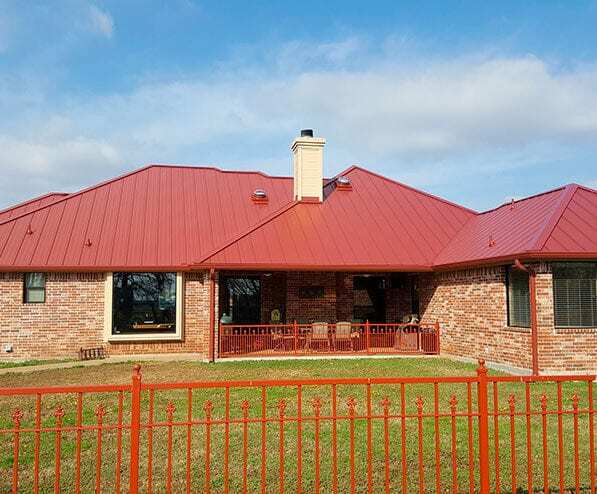 With many attractive Energy Star rated colors, it is easy to see how a beautiful, long-lasting metal roof is a smart, sustainable choice for most homeowners. There are several different applications for metal roofing that Baker Roofing & Construction offer. Such as, there is standing seam, impressed metals, stone-coated steel roofing, etc. With so many options how can one choose? Let’s look at a few of these systems. Standing seam metal roofing is probably the most handsome of all metal roofs and has a very high-end look. It can be found in three different styles: smooth, ribbed and striated. While ribbed and striated options both add beautiful details, they both actually help to keep the panels from heat warping or also called oil canning. Oil canning happens when the metal panels heat up and begin to distort. This distortion is only temporary, and it is normal but, some homeowners find it to be unsightly. However, with ribbed and striated variations the oil canning is at a minimum. Impressed metal roofing materials are designed to look like other roofing materials but with the strength of steel. You can find impressed metal in a slate, tile and even wood shake look. Impressed metal roofing allows the same great styles of the other roofing materials but with the durability and longevity that metal provides. Stone coated steel roofing is an impressed metal roofing material with an added stone coating to increase the durability. The added stone coating protects the materials from damages that might occur from debris on the roof to foot traffic during inspections and maintenance. A copper roof is without a doubt one of the most beautiful roofing materials available and, of course, one of the most expensive. It has all the benefits of steel roofing with the beauty of copper. It is durable, long lasting and virtually maintenance free. Copper naturally patinas over time which is both a pro and a con. Copper roofs are sometimes referred to as a “living roof”, meaning that the color will continually evolve. However, some people do not like how a copper roof’s color will change over time. R-panel roofing is the basic corrugated metal roofing that is typically associated with barn roofs. It is an exposed fastener style of roof which is not the most reliable version of metal roofing. While the panel its self is very durable, the screws that hold it on are not. These screws are fitted with a rubber washer designed to seal the penetration when screwed down tightly. However, these washers will degrade over time from UV rays and will need to be replaced every 15-20 years if they were properly installed. 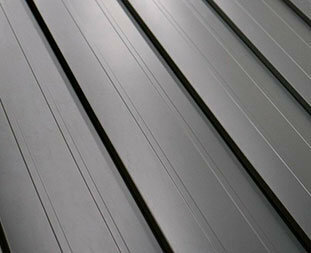 Metal roofing comes in a wide range of colors from one product to the next. One should be concerned with color for not only aesthetic reasons but, also if you remember from before, some colors are Energy Star rated. Therefore, the color you choose could save you some money on electrical bills and HVAC repairs.